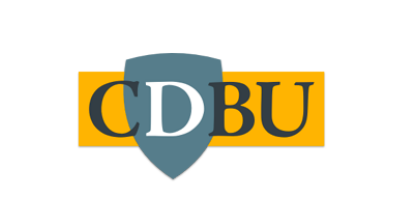 CDBU welcomes a diversity of views. Please contact us if you would like to be part of the conversation. This article is a slightly modified form of one that appears in Angewandt Chemie 2013 the original version of which can be downloaded here. “Research at the institute is primarily curiosity driven, which is reflected in the five sections comprising this Review”(on the oxidation of carbon monoxide). So wrote H.-J. Freund, G. Meijer, M. Scheffler, R. Schlögl and M. Wolf in the special issue of Angewandte Chemie (50, 10064 (2012)) to mark the centenary of the Fritz Haber Institute of the Max Planck Society and the 75th birthday of Gerhard Ertl. These words were music to my ears. The philosophy that animates research at the Fritz Haber Institute (FHI) was one that motivated almost all scientific developments in the universities of the United Kingdom in former times. But this is no longer so; indeed, such has been the transformation in attitudes of policy makers and funding bodies that it has prompted many leading academics in this country to establish a Council for the Defence of British Universities (CDBU) so as to re-instate the kind of ethos that is still pervasive at the FHI and doubtless at many other Max Planck Institutes. Four former Presidents of both the Royal Society and the British Academy, along with the present holders of those prestigious posts, two former UK Government Cabinet Ministers, numerous academics representing the sciences and the humanities, and notable celebrities like David Attenborough and Michael Frayn, are among the founders of the CDBU. The following passages constitute a modified version of the remarks I was invited to make at the British Academy in the inaugural meeting of the CDBU in late 2012. Ever since the days of Isaac Newton, university teachers have cherished the freedom to investigate any aspect of the natural world irrespective of the need to justify the possible practical importance of their discoveries. In the early 1850s, for example, the young James Clerk Maxwell became fascinated by the experimental discoveries of Michael Faraday, especially the observation that light could be “manipulated” by a magnetic field. So intrigued was Maxwell by Faraday’s work that he decided to write a treatise on “Faraday’s lines of force” as his Research Fellowship submission to Trinity College, Cambridge. The outcome of Maxwell’s work led to the mathematical foundation of the phenomenon of electromagnetism. One of the consequences of the Maxwell-Faraday work is the realisation that every ray of light has a magnetic and electrical component. If this were not so, it would be impossible to explain the transmission and reception of radiowaves or to account for the mode of action of television, the telephone, DVDs, iPhones and iPads. Newton’s Laws do not help us one iota in understanding the mechanisms of these and the other electronic gadgets now in popular use. It was Faraday’s insatiable curiosity concerning the possible relation between magnetism and electricity that led him to discover electro-magnetic induction, which gave us the dynamo, the transformer and the means of generating continuous electricity now used worldwide in power stations. In the 1920s, young Paul Dirac, stimulated by the work of Heisenberg, Born and Jordan in Germany, undertook his quantum mechanical studies, which were motivated by sheer intellectual curiosity and the desire to incorporate relativistic features into the Schrödinger equation. Dirac’s mathematical formulations led him to propose, in 1927, the existence of the positron, the first-ever suggestion that anti-matter was a reality. It took another four years before the experimental proof of the positron’s existence was established by Carl Anderson in the California Institute of Technology. For many decades thereafter the positron was regarded as a novelty with little prospect of it ever being harnessed for practical purposes. Now, however, almost every major hospital in the developed world uses positrons in the non-invasive medical technique of positron-emission tomography. Its many uses include charting cerebral activity and identifying stages in the growth of tumours. Many other examples exist where university teachers, through inquisitive, intellectual adventures, have uncovered techniques of enormous and pervasive practical importance. It was pure curiosity that led scientists in the late 1940s to discover magnetic resonance spectroscopy and, a few decades later to another powerful, non-invasive medical technique, namely MRI, magnetic resonance imaging, now quite indispensable in most major hospitals. In the 1950s, at Columbia University, Charles Townes became intrigued by the possibility that the population of electrons in simple molecules could be inverted, and also with the optical consequences of such inversion. When he proposed this experiment Isidor Rabi, a Nobel prize-winner colleague, told him he was wasting his time. Several other notable physicists doubted whether such an experiment would ever work. But Townes stubbornly persevered and so discovered the maser (the forerunner of the laser). This has changed our world comprehensively. In addition, it duly led to the discovery that our nearby galaxies shine maser light upon us. The history of academic scientific endeavour is replete with important, transformational discoveries, the practical importance of which could not have been readily foreseen. Prominent examples are the discovery of X-rays, of nuclear fission, of antibiotics, antibodies, immuno-suppressive drugs (that make spare-part surgery feasible), and the structure of DNA, to name but a few. Scientific researchers know that discoveries cannot be planned: they pop-up, like Puck, in unexpected corners. But why is it so relevant now to recall these facts? It is because scientific research in our universities is under threat: the freedom to pursue in untrammelled fashion research prompted by individual intellectual curiosity is being increasingly restricted by the paladins of the research councils. Public bodies that fund academic research in the UK now tend to emphasise the perceived practical importance of the scientific research which they decide to support financially. The Chief Executive of the UK’s Engineering and Physical Sciences Research Council (EPSRC), a body that spends some £900 million per annum on research grants, informed all applicants that from 15 November 2011, they should identify clearly the national importance of their proposed research project over a 10 to 50 year time frame. This edict prompted outrage among academic researchers in the UK because they felt that it violated a cardinal principle of their proven prior attitudes. Delegations of academic scientists lobbied MPs and the British Prime Minister. It is gratifying to learn that, in response to these protests, the newly appointed chairman of EPSRC recently announced that the need for applicants to identify the national importance of their proposals over a 10 to 50 year span be rescinded. The CDBU welcomed this change of heart because one of its aims is to emphasise that scientific research, as well as being subject to accountability and having economic applications, should be animated by the desire to enhance our knowledge and understanding of the physical world, of human nature and of all forms of human activity. No one disputes that there are several urgent scientific and technological quests that merit study in the national interest by academically-oriented researchers: the need for new means of converting replenishable feedstocks into useful energy and materials; the quest for better photo-voltaic systems and better industrially-applicable catalysts; improvements to existing light-emitting diodes and biotechnological converters are among the viable targets. But the best approach is to concentrate on identifying the talented individuals capable of proposing new ways of addressing these tasks, and to ensure that the requisite scientific training is provided in our higher educational institutes. This raises the question of how best to secure openings for talented young teacher-researchers. As the eminent U.S. chemist, Allen Bard, said a decade ago, the culture of academic research has shifted from evaluation based on excellence in teaching, creativity and productivity to one based on the amount of money raised. This is a consequence of implementing a “business model” for universities. In 2003 the UK Government explicitly encouraged universities to think of themselves as a business the primary function of which was to serve the world of commerce and an economy that demands instant return for financial investment. It is no accident that in the UK at present the Cabinet Minister for Universities and Science is in the Department of Business, Innovation and Skills. Moreover, UK universities are increasingly expected to generate their own funds (from patents and spin-off companies). If we think the quality of academic science suffers because of this approach then what, one wonders, will happen to the humanities. It is undoubtedly mutually beneficial for academic scientists to interact with personnel in various manufacturing companies, and thereby help to foster work of national importance. But this must not be the only way forward. A very successful, but short-lived scheme in the UK that gave academics opportunities to indulge in “blue skies” research and to investigate natural phenomena out of curiosity (not financial profit), was the so-called ROPA initiative, introduced by the then Director General of the (UK) Research Councils, Sir John Cadogan. This gave academics the money and the freedom to explore whatever topic took their fancy, provided they had previously gained joint grants with private industry to pursue a mission-oriented project. Nearly half of the 1000 or so ROPA grants were so potentially interesting that industry was prompted to follow up the “blue skies” investigations of the academics. The feeling amongst academics in the UK these days, and I imagine it prevails elsewhere, is that university personnel require a restoration of the proven qualities of intellectual freedom, which has contributed so much to the culture, and facilitated the economic growth and the communal well-being, of the nation. Not only have Perutz’s principles led to fifteen Nobel Prize winners for scientists working at the LMB, there have also been numerous commercial successes that have flowed from the discoveries made and techniques developed there. Unless the continual erosion of the intellectual freedom of scholarly academics is arrested and reversed the consequences for both the sciences and the humanities could prove catastrophic. Join our mailing list to receive the latest blog posts by email.